Cheforce is a local company specialising in hospitality recruitment. Our main area of service is in Chef Labour Hire plus other hospitality staff including Cooks, Kitchen Hands and Waitstaff. We service the Newcastle and Hunter Valley areas. Established by Paul Owen and Patricia Owen, possessing over 40 years combined experience in the hospitality industry, Cheforce understands the importance of hiring the right staff and matching them to the right business. Our extensive experience in the Newcastle and Hunter Valley has allowed us to establish vital contacts in the hospitality recruitment arena. Through this network, we are able to provide a range of quality opportunities for hospitality staff and employers alike. 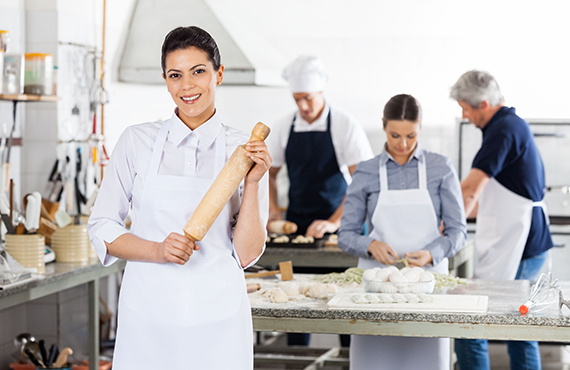 Cheforce is committed to providing the highest quality Chef Labour Hire and Hospitality Labour Hire services. We provide employers with the right person for the job from our extensive database of highly skilled chefs and hospitality personnel. For candidates, we are committed to finding positions to suit your needs and believe in sharing our experience and knowledge to assist placement in the right job. Cheforce prides itself in its ability to deliver a Hospitality Recruitment Service with consistency, professionalism, trust and respect. Contact us now, to discuss your recruitment needs.